Home > Events > Doing science with fun! Learning is not a memorization matter, but knowledge comes from discovery and learning by doing. Creativity, intuition and intelligence have to be stimulated in the right way to promote a complete development of human being, especially in children. 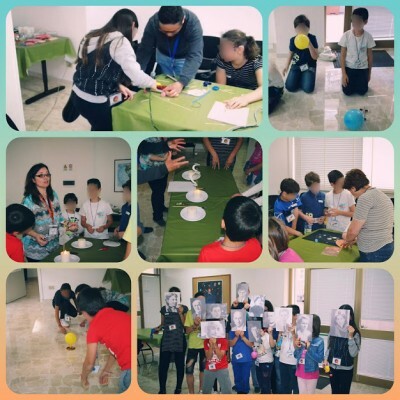 In an educational pedagogical pathway following the multidisciplinary "Tinkering" approach, where science and fun can merge, children between 10-13 years-old will discover through the “game” that science can also be fun. In the framework of STEM Discovery week, EU-Track researchers organize on April, 27th 2018 from 15.00 to 18.00, the workshop "Doing science with fun!" dedicated to children aged 10-13 years-old at our training headquarter in Viale Europa, 95 - Terracina. To whom it may concerns can send the application form filled in, which is available here below, to the e-mail info@eu-track.eu. We are waiting for you to learn together with fun!